Treat yourself to luxurious splendor with this beautiful bar of moisturizing Shea Butter soap. 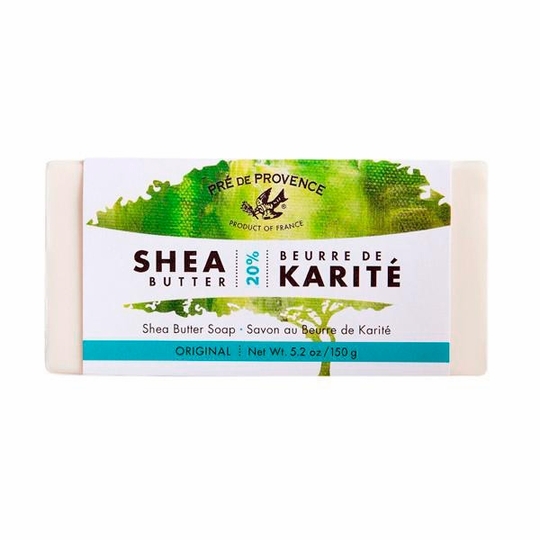 Fantastic for dry and sensitive skin as it contains an amazing 20% Shea Butter (Karite), which is the most you can squeeze into a bar of soap. 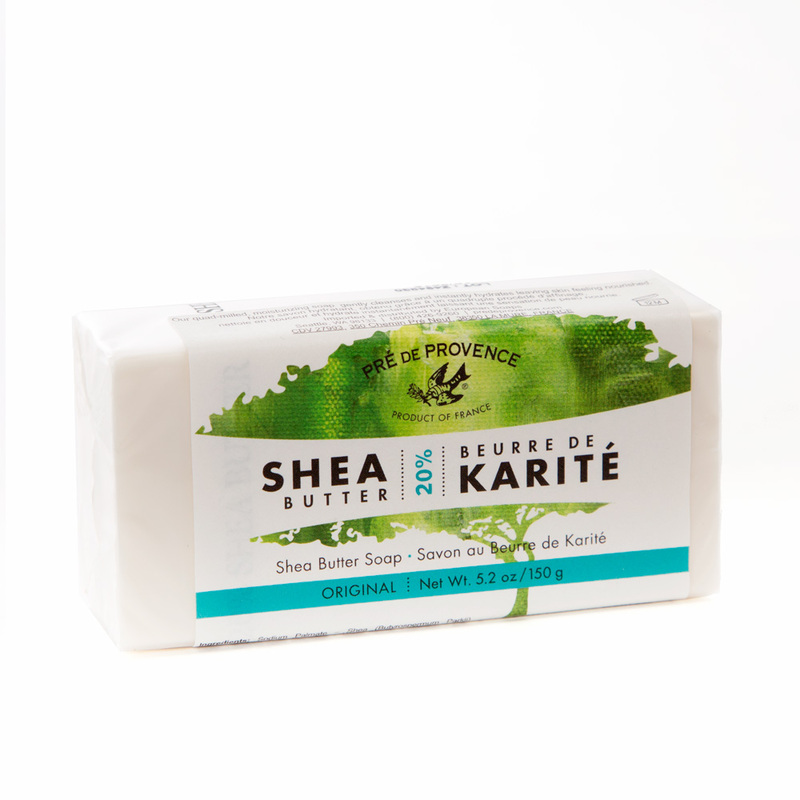 This super moisturizing 20% Shea Butter Soap gently cleanses, while instantly hydating - leaving your skin feeling nourished. 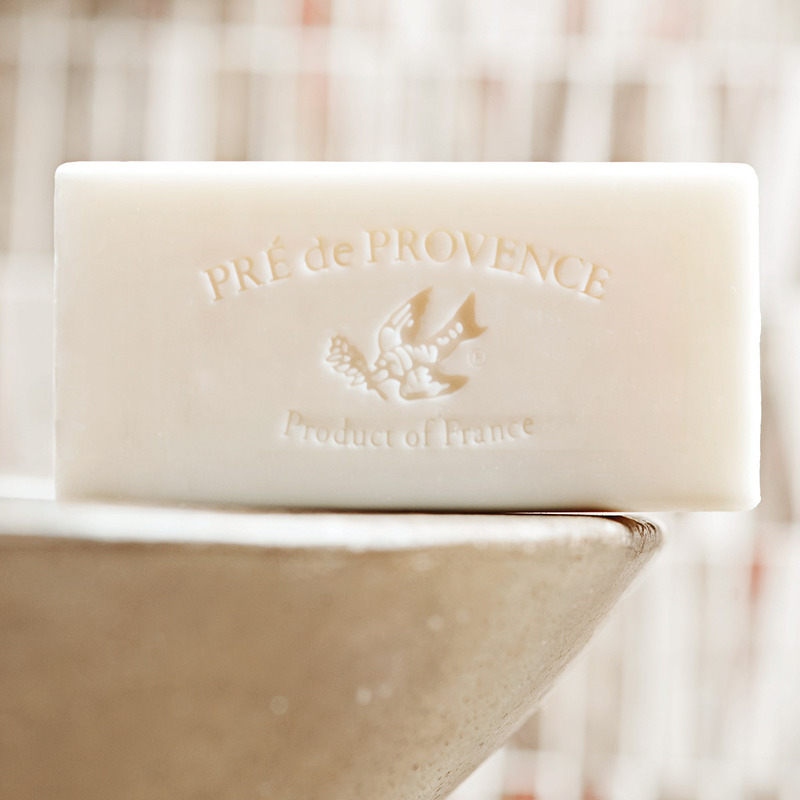 Ever wonder why Pre de Provence soaps last so long? Because they are quadruple milled (also called French Milled), which is the process of milling the soap 4 times during manufacturing, removing more air and water from the bar of soap. Which, while more expensive to manufacture, make a smoother, more uniform soap, that lasts much longer. Infused with classic, calming lavender essential oil, to calm your spirits as well as your skin. The original is all about moisturzing, gently cleanes while instantly hydates your skin, with 20% shea butter, palm andf healthy herbs, like rosemary. With only a redolent fragrance.